I.F. Zhimulev Morphology and Structure of Polytene Chromosomes. Subject Index. 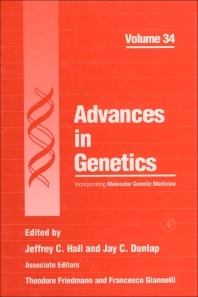 This volume of Advances in Genetics illustrates the series goal to publish the most current, up-to-date reviews in the field of molecular and human genetics. This volume deviates from previous volumes in that it focuses solely on the polytene chromosome. In an excellent and exhaustive review, I.F. Zhimulev illustrates the use and function of the polytene chromosome in three parts: morphology and structure, organization and functional role of the heterochromaticregions, and the transcription patterns and replication of the chromosome. To best illustrate the breadth and scope of research, Dr. Zhimulev includes more than 100 figures and more than 2900 references specifically relevant to the polytene chromosome.